100 Balloons. 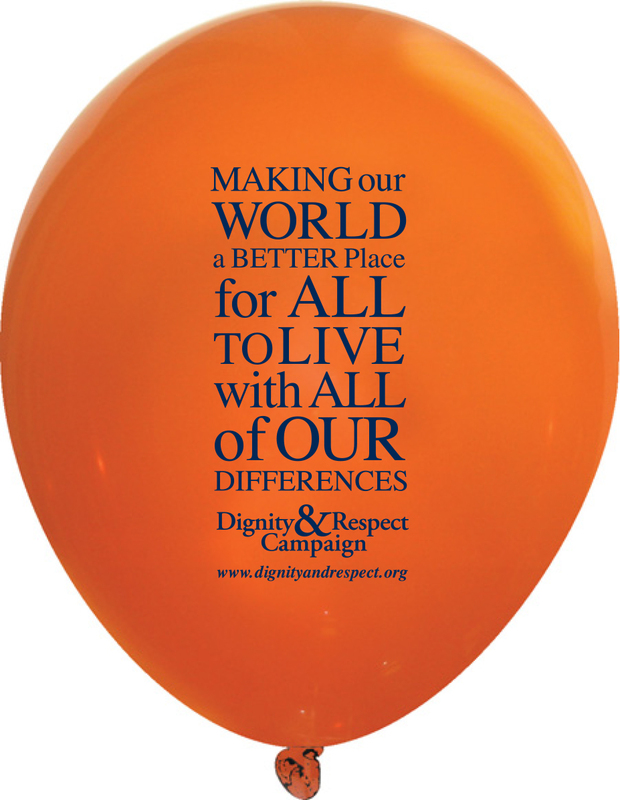 Making Our World a Better Place For ALL to Live With ALL of Our Differences. Dignity & Respect Campaign printed on one side. Navy blue with white writing.